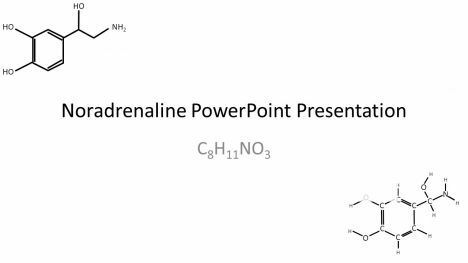 This free PowerPoint template is of a Noradrenaline molecule. 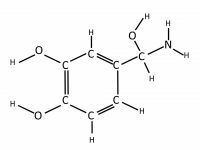 This molecule is an example of a neurotransmitter, a chemical that signals changes within the brain and spinal cord. 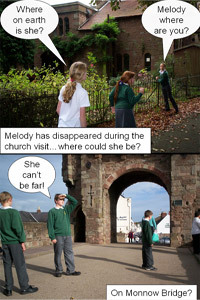 It is also present in nerves all over the body. 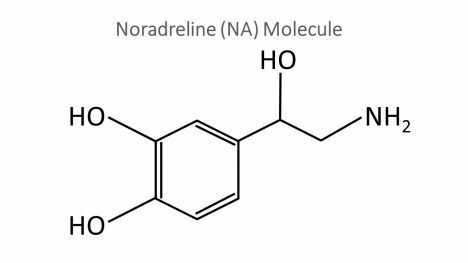 Noradrenaline is abbreviated to NA, and is called norepinephrine in American literature. 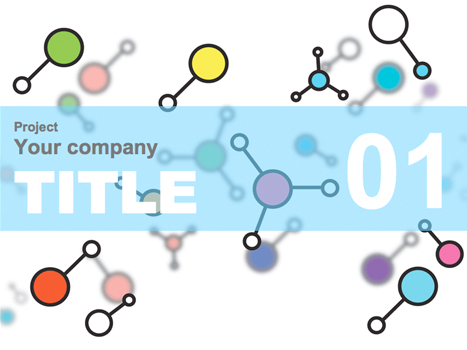 Within this PowerPoint template, there are three different types of molecular representations. On the second slide is the skeletal formula. This type of diagrammatic representation does not show hydrogen atoms, and the carbon atoms are represented as lines, the corner or end point demonstrating the carbon atom. Additional groups are added to the carbon ‘skeleton’, for example an oxygen and hydrogen group, an alcohol group, is shown as OH. 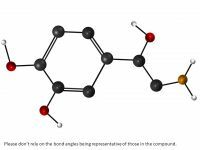 Finally, there is the displayed structure of the molecule, showing all of the atoms and bonds connecting them. 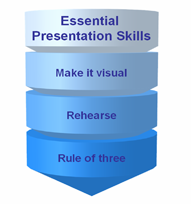 This free PowerPoint template would be extremely useful for biology and chemistry presentations as well as for biochemistry, neuroscience, pharmacology and medical presentations.